I spent most of my Sunday cleaning the house, unpacking more boxes and trying to organise the new house a bit more. That part of the morning was spent in my track pants with my hair in pin-curls. Later in the afternoon I went out to look at furniture and washing machines so I got dressed into this cute outfit and quickly got myself ready. 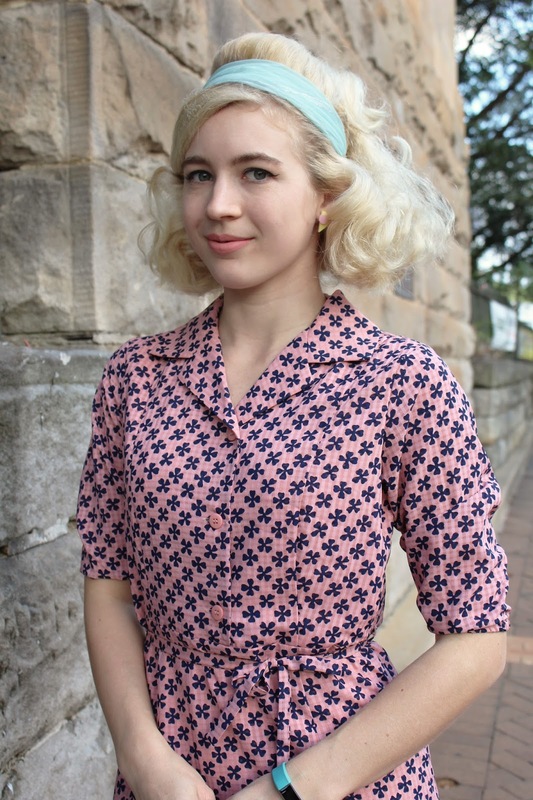 It feels like forever since I have put together an outfit with 60's styling and make-up, I was going to stick with my usual red lipstick and 50's hair but was missing 60's styling recently and this outfit suits it. This dress and coat is such beautiful quality, it's comfortable (sorry I always say this, ha!) 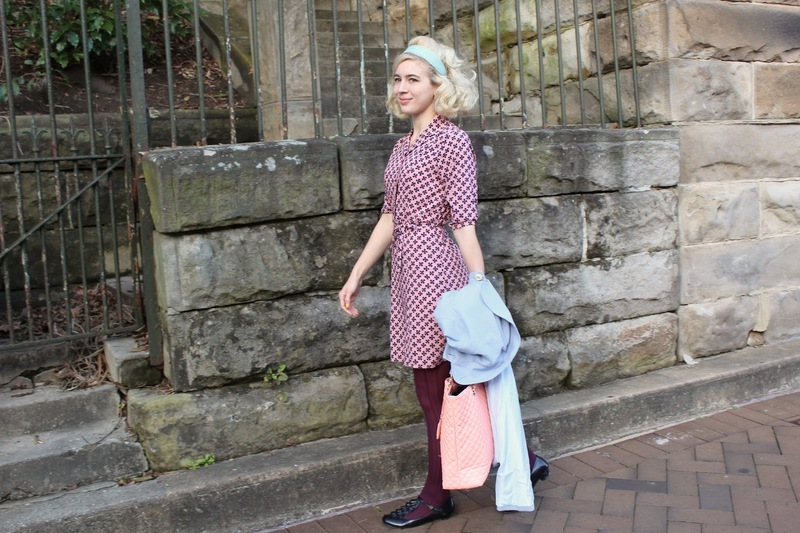 and is just such fun outfit, with the two combined + my handbag it is my favourite colour pallet at the moment too.. 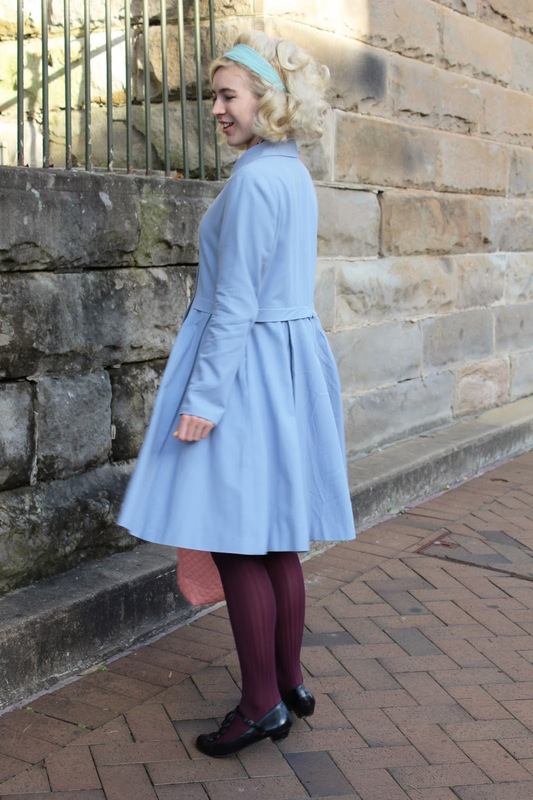 The coat is designed to have a nice loose waist fit to it for a great 60's look. I always size up in my coats for layering and plenty of shoulder room for movement, I am wearing the UK10. 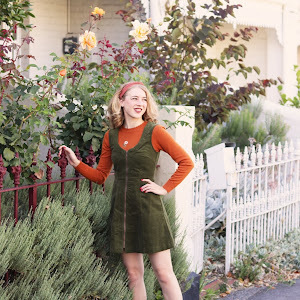 This dress is so cute and very 60s/70s and I don't have anything like this in my wardrobe, I am wearing UK8. Sizing for both items is just how I like it, I would say the size charts are accurate to. I feel like I will be reaching for these two pieces from my wardrobe constantly. I really love what Alice's Pig has to offer in their store. Something else to be excited about is the new Erstwilder Goes Galactic range!!! I have a few more pieces from this range to share so keep an eye out for future outfit posts. I love this Blast Off brooch, it is a really gorgeous piece and is a new favourite for me. 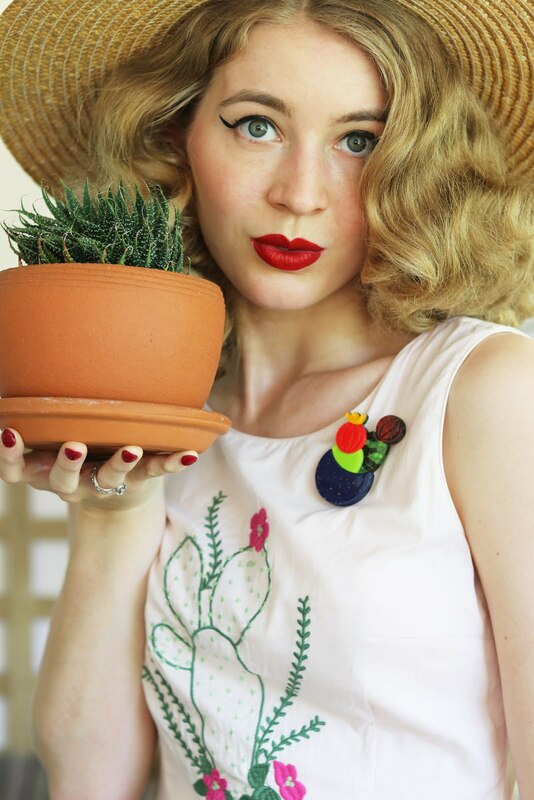 I love it pinned to my coat too, it's quite a big brooch and it really makes an outfit like this pop! Once our house is set up a bit more I will share a few photos, but life has been so busy that I only just had a full weekend at my house which meant that I got lots done. P.s. Bonus points for my Fitbit matching the outfit. I just received a replacement + upgrade and am so happy to have it back.. I missed counting my steps over the past few weeks haha. Have a great week! I am fond of pastel colours so I really like this outfit. It looks great on you! Very fun! 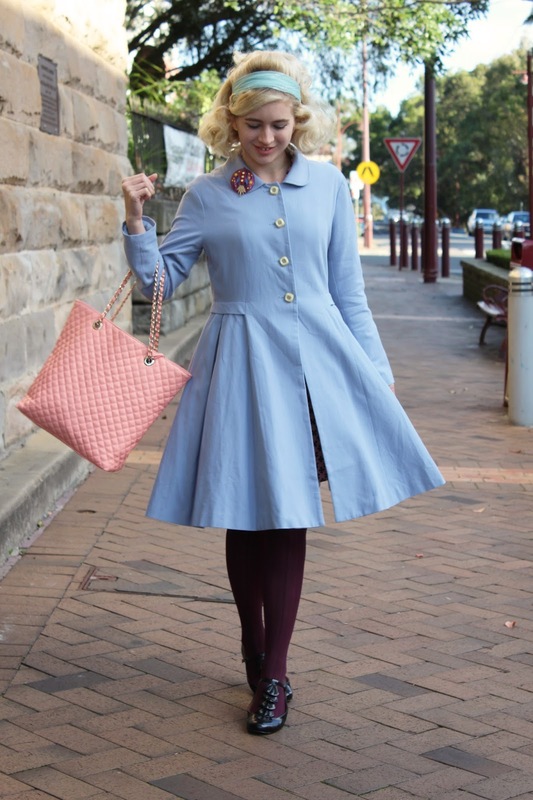 I love the baby blue coat, and it looks lovely with the pink dress. You always knock it out of the park with the 60s styling, which is absolutely perfect with this look. I love when you wear 60s outfits! The decade suits you perfectly! Super fun look! Pink and blue pastel are a fab combo too! I've been looking for a coat in this shade for a long time, but having to always buy petite coats or it's just a disaster, the hunt goes on :( This is a really pretty one though and the whole outfit is delightful! This is amazing! I really love the 60s look and it suits you so well. Fabulous outfit! I've said it before, but I'll happily say it again - 1960s styles are head-turningly amazing on you. This new line from Erstwilder is fabulous, too. I'm (we're) saving for an upcoming road trip holiday or else I would have ordered some of their new offerings. Hopefully I can snag some a bit later in the year before they're all gone.